This lesson will introduce students to the library theme for the 2018-2019 school year. Read The Lemon Tree by Katherine Graham to the students. Explain to students that in the story the two children live in a community which practices ubuntu. Ask students if they have ever heard that phrase before. Write the word on a whiteboard or projected on the computer, getting help from students to spell it out. Ask students to share as a class what they think ‘I am because we are’ means. Explain that ‘I am because we are’ means we are part of a community and rely on each other. Connect that to the story by explaining that the children relied on their neighbors for help but were also willing to provide something in return for the kindness they received. Ask them to share what things they rely on the library for. Explain how libraries are designed to help a community and provide resources for a community. Ask students to make a list of ways in which they can return that kindness, just like the children did in the story. Explain that the library relies on each student to take special care of the library and the materials in the library, so that as many students as possible can enjoy it. Ask the students to try to practice ubuntu for the rest of library time. When students are getting ready to leave the library, instruct them to quietly walk around the library and “help” the library before they leave. Read the scenario from Slide 3 to students. Ask students to answer which option they would choose and why. Explain that those that chose option ‘D’ showed strong ubuntu. Provide a map of the continent of Africa and show them where South Africa is. Explain the history of the ubuntu philosophy and where it originated. Show the students the video of Reverend Mpho Tutu describing ubuntu. Explain to students the history of how ubuntu was brought to a wider audience by Desmond Tutu. Share some basic information about Tutu and his working in ending apartheid in South Africa. Share the video of Doc Rivers explaining how he uses ubuntu to teach teamwork to his basketball players. 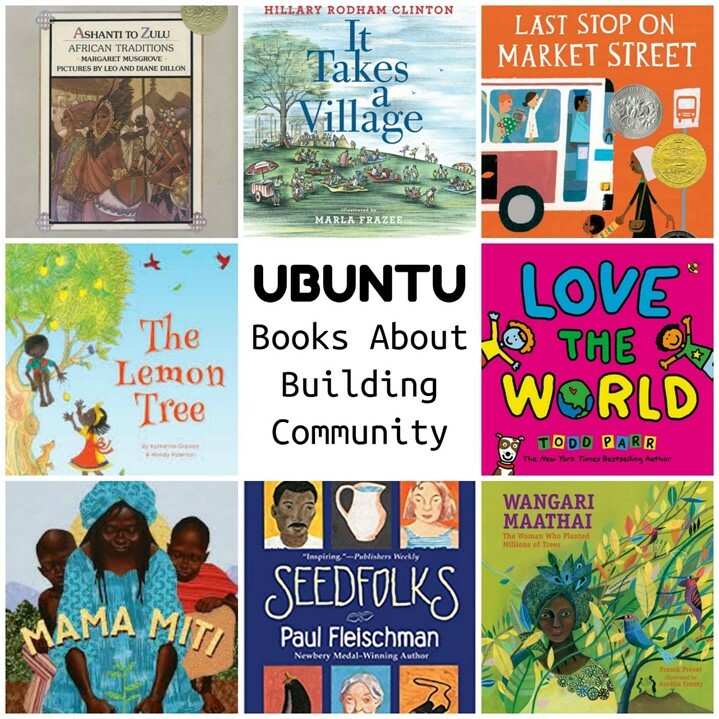 Ask students as a class to discuss ways in which the ubuntu philosophy is an important part of a library community. Ask students to get in small groups to list ways in which they can practice ubuntu in the school library. Thanks so much for the great lesson plans! I’m having a hard time finding the book, The Lemon Tree. I don’t have it and was hoping to borrow it from the county or city library, but I can’t find it on their catalogs. Do you have a copy I could borrow? These lesson plans are fantastic Nikki! I’m so excited to introduce this philosophy to our students. Thanks for your hard work! We’ll begin our lessons next week. Thank you.